Before you WASTE money buying that expensive gift basket of bath scents and bath oils for your mother, sister, aunt, or uncle Wanda… we want you to consider the possibility that free chlorine and/or chloramines may ruin all those beautiful scents you will choose. Fact: As an oxidizer, chlorine in any of its forms will viciously attack the chemical compounds contained in bath scents and bath oils. Those aggressive nature of those attacks by a strong oxidizing agent renders the scents less potent and in some cases may drastically alter the way they smell. 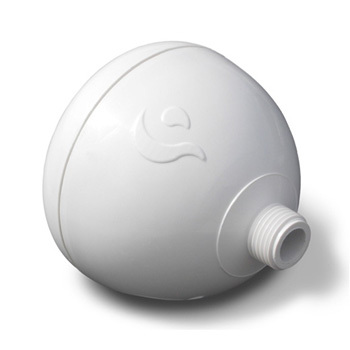 The Rainshow’r Bath Ball makes taking a leisurely bath a whole lot better and more enjoyable by removing bothersome chlorine from your bath water before use. Simply swish the ball around in the water for around 2 minutes (or hang it directly in the water flow from your faucet as you fill the tub). 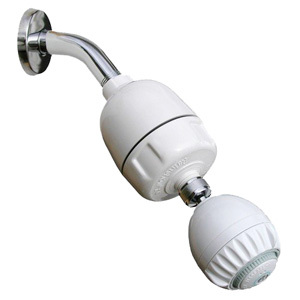 While many other methods of removing chlorine from bath water require adding some sort of attachment to the plumbing leading to your tub but not the Rainshow’r Bath Ball which effectively removes 90% or more of total chlorine and leaves you with healthier bath water. How do I see if my water contains chlorine? The easiest way involves using a simple set of test strips such as the WaterWorks 2 Free & Total Chlorine Test Strips which will allow you to test for both free and total chlorine at the same time and get results in under 30 seconds. 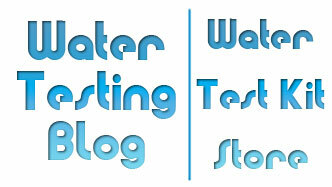 What else makes the WaterWorks 2 Test Strips a good product? Simple: WaterWorks 2 Test Strips allow you to quickly and easily determine if your water contains just free chlorine, a combination of free chlorine & chloramines, or just chloramines. How does that work? Just subtract the free chlorine concentration from the total chlorine concentration and you get the chloramine concentration. 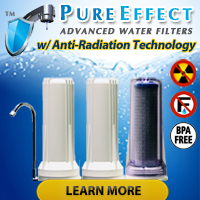 As an example, water with 2 ppm free chlorine and 3 ppm total chlorine contains 1 ppm chloramines. Refills for the Rainshow’r Bath Ball? Each Rainshow’r Bath Ball comes with a crystal pouch good for roughly 200 uses depending upon how much chlorine your water contains. What happens after 200 uses? Pop open the ball, take out the old crystal bag, and put in a new Bath 2000/3000 Crystal Bag. Simple as that. 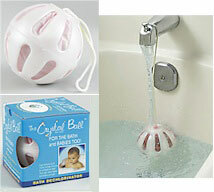 View the Rainshow’r Crystal Bath Ball Manual for additional product information.